What are pychobiotics? They're mind-altering probiotics that researchers say can enhance the gut-brain connection, boosting mood, decreasing anxiety, and easing depression, among other benefits. Research is showing that psychobiotics may help people struggling with depression. These gut bacteria act on the brain in a number of ways, according to studies, to benefit those dealing with stress, anxiety, or mood issues. It’s hard to believe that by altering the bacteria in your gut, you can better handle stress, improve your mood, and even treat your anxiety or depression. But an explosion of research into the fascinating world of the gut-brain connection is showing just that. We now know that you can alter your gut bacteria in a way that positively affects your mood and brain function. One of the primary ways you can do this is by taking psychobiotics. Psychobiotics are live organisms that, when ingested in adequate amounts, produce a health benefit in patients suffering from psychiatric illness. But this definition, coined in 2013, is too limiting based on the latest research showing that you don’t need to have clinical depression, an anxiety disorder, or some other psychiatric disorder in order for psychobiotics to positively affect your brain. Anyone suffering from chronic stress, low mood, or anxiety-like symptoms has the potential to benefit from this class of probiotics. 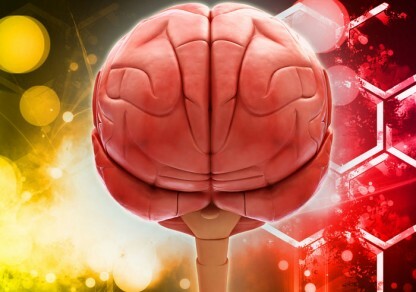 How Do Psychobiotics Act on the Brain? One way these “mind-altering” probiotics likely act is via their ability to produce various biologically active compounds, such as neurotransmitters. Several molecules with neuroactive functions such as gamma-aminobutyric acid (GABA), serotonin, catecholamines, and acetylcholine can be produced by gut bacteria. When these neurotransmitters are secreted within the gut, they may trigger cells within the gut’s lining to release molecules that signal brain function and affect behavior. A second way that psychobiotics appear to act on the brain is by exerting effects on the body’s stress response system, which involves the brain and the adrenal glands. This system, known as the hypothalamic-pituitary-adrenal (HPA) axis, becomes dysfunctional in the context of chronic stress or illness. When HPA-axis dysfunction occurs, the production and rhythmic timing of cortisol and other stress-related hormones becomes disrupted. This is believed to play a central role in causing mood disorders and cognitive problems. A third way psychobiotics are hypothesized to act on the brain is through their anti-inflammatory actions. Chronically elevated levels of inflammation throughout the body and brain are now known to be one of the major underlying causes of depression and other mood and cognitive disorders. This inflammation can stem from the gut, and some psychobiotics may have their effects in the brain by lowering inflammation. Research is beginning to identify which probiotics have mild-altering effects and what those effects are. In studies in healthy people, different psychobiotics have been shown to boost mood and cognitive function and decrease stress and anxiety-like symptoms. Certain psychobiotics have also been shown to treat depression, anxiety, and other mental health and cognitive issues in patients with psychological disorders and/or other medical conditions. A clinical trial randomly assigned patients with major depressive disorder to receive either probiotic supplements or placebo for eight weeks. The probiotic pills consisted of Lactobacillus acidophilus, Lactobacillus casei, and Bifidobacterium bifidum (2 billion CFUs each). After eight weeks, patients who received the probiotic had significantly decreased total scores on the Beck Depression Inventory, a widely used test to measure the severity of depression, compared with placebo. In addition, they had significant decreases in systemic inflammation as measured by hs-CRP, significantly lower insulin levels, reduced insulin resistance, and a significant rise in glutathione, the body’s master antioxidant. Other psychobiotics have beneficial consequences on mood and anxiety-like symptoms in people without depressive or anxiety disorders. 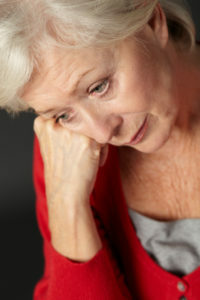 In a study to investigate the possible effects on anxiety, depression, stress, and coping strategies in healthy human volunteers, a probiotic containing Lactobacillus helveticus R0052 and Bifidobacterium longum R0175 (Probio’Stick®) alleviated psychological distress, particularly depression, anger-hostility, and anxiety, and improved problem solving when taken for 30 days. The researchers concluded that L. helveticus R0052 and B. longum R0175 have beneficial psychological effects in healthy humans. Psychobiotics can also help boost mood and ease anxiety in people suffering from various chronic diseases. The same probiotic studied above (Lactobacillus casei strain Shirota) was used in another double-blind, placebo-controlled trial in patients with chronic fatigue syndrome. Patients were randomized patients to receive either 24 billion colony forming units of Lactobacillus casei strain Shirota or a placebo daily for two months. The people taking the probiotic had a significant decrease in anxiety symptoms. Many additional psychobiotics have been shown to treat depression and anxiety in animal studies. Lactobacillus plantarum strain PS128, for example, is known to increase dopamine and serotonin and decrease depression-like behaviors in mice. In depressed mice that have been subjected to early-life stress, this same psychobiotic decreases cortisol, normalizes the stress response system (the HPA axis), and decreases depression. Psychobiotics have also been shown to help people and animals undergoing stress. A fermented milk drink (kefir) that contained Lactobacillus casei strain Shirota prevented stress-related cortisol increases and raised serotonin levels in stressed medical students. Moreover, the probiotic drink decreased stress-related physical symptoms such as abdominal pain and cold symptoms. Lactobacillus helveticus NS8 was compared to the SSRI, citalopram, in rats with depression, anxiety, and cognitive dysfunction due to chronic stress. The probiotic worked better than citalopram in reducing stress-induced anxiety, depression, and cognitive dysfunction. It lowered cortisol and restored serotonin and other brain neurochemical levels to normal. Other Lactobacillus helveticus-containing probiotics have also been shown to reduce stress-related depression and anxiety by affecting serotonin, cortisol, and other neuroactive compounds in animal studies. For example, Lactobacillus helveticus R0052 combined with Lactobacillus rhamnosus R0011 normalized anxiety-like behavior and learning and memory impairments in immune-deficient rats with HPA-axis dysfunction. Are Some Prebiotics Also Psychobiotics? Prebiotics, like probiotics, can also act as important regulators of mood and brain function. In a recent study, prebiotics were found to decrease the secretion of the stress hormone, cortisol, and improve emotional processing in healthy volunteers. Participants received one of two prebiotics (fructooligosaccharides, FOS, or Bimuno-galactooligosaccharides, B-GOS) or a placebo (maltodextrin) daily for three weeks. Morning cortisol levels were significantly lower after B-GOS intake compared with placebo. Participants taking B-GOS also showed increases in the processing of positive versus negative attentional vigilance, which is an indication that the prebiotic had anti-anxiety effects. No effects were found after the administration of FOS. People with IBS often have anxiety and/or depression which has been found to directly correlate with dysbiosis and decreased gut microbial diversity. A study found that a galactooligosaccharide-containing prebiotic mixture benefited anxiety in irritable bowel syndrome (IBS) sufferers. Daily treatment with the prebiotic galactooligosaccharide mixture for 4 weeks reduced anxiety scores and had a significant positive impact on quality of life. Overall, the results of these studies show that psychobiotics have the potential to positively impact brain function, boost mood, treat depression and anxiety, and help you handle stress. The best psychobiotics and the best dosages for those psychobiotics have yet to be determined, but a number of them used in the studies described above are commercially available in probiotic tablets. Generally, at least 10 billion CFU’s per day are recommended for most probiotics, including psychobiotics, but higher or lower amounts may also be beneficial. Just make sure to give your psychobiotic a try for at least a month before deciding whether it’s working or not. Good luck, and may your gut-brain connection be healthy! Originally published in 2016, this post is regularly updated by the editors of University Health News. abdominal pain, acetylcholine, acidophilus, anti anxiety, anti inflammatory, antioxidant, anxiety, anxiety depression, anxiety disorder, anxiety disorders, anxiety or depression, anxiety symptoms, bacteria, best psychobiotics, bifidobacterium longum 1714, boost mood, bowel syndrome, brain, causes of depression, chronic fatigue, chronic fatigue syndrome, chronic stress, citalopram, clinical depression, cognitive function, cortisol, depressed, depression, depression and anxiety, depression anxiety, depression stress, depressive disorder, dopamine, dysbiosis, fatigue syndrome, for depression, gaba, gaba serotonin, gastroenterology, gut bacteria, gut brain connection, health, health news, hormone, hpa axis, hpa axis dysfunction, ibs, ibs, increase dopamine, increase dopamine and serotonin, inflammation, insulin, insulin resistance, irritable bowel, irritable bowel syndrome, irritable bowel syndrome ibs, major depressive disorder, medical conditions, memory, mental health, milk, mood, nutrition, pain, probiotic supplements, probiotics, psychobiotic, Psychobiotics, reduce anxiety, serotonin, serotonin levels, stress, stress and anxiety, stress and coping, stress induced anxiety, stressful situations, studies show, supplements, to treat depression, treat depression, university health news. Can you tell me which one to buy? What probiotic brand is best for good mental health? Garden of Life Dr. Formulated Probiotics Mood is what I started using about a month ago. Seems to be working. I get it at Whole Foods, where they keep it refrigerated. If you order online, make sure it’s shipped cold! I’ve been using Life Extension’s “Florassist Mood” with Longum and Helvticus for about three weeks and have noticed a big difference. Which is the best psycoboitic to buy? Which and Where to buy best psychoboitics? And grass fed whole milk. My fave is the tumeric, but I have not tried all flavors. You can get it here and there, and at whole foods. It feels really good. It’s life changing! I can’t even tell you how much better I feel. Better mood, less irritated, better focus, and anxiety is nearly gone. I have been taking UP4 ultra that I found at Sprouts. Love it cause it’s from vegan source. Remember NOT to drink soda!! It kills the healthy bacteria in your gut with just one drink! Something for anxiety & stress,also mood. Excuse me for my English ( Holland/Europe) but i have anxiety and a depression, I am know taking probiotics for 5 days and i already cab feal such a difference. I am taking the brand Bio-Kult its from the UK , just one a day. I also tried 2 a day but that was to soon ( build up slowely). But its amazing how fast it works, but also eat healthy! The stress in my head is every day less, I am not there yet but what a difference after such short amount of time. I noticed that a lot of people with depression or anxiety have slow bowle movement or are constipaded or have diarea, somebody recommended probiotics and then i found some study’s that they are also used for anxiety and depression. So i thought why not? Its better than al the heavy medicine and its also good for youre body. What i just wanted to say is, if you have anxiety or a depression just try… But also eat healhy and drink enough clean water, less sugars. good luck! My daughter suffers from intense anxiety and low self esteem. She has IDD. She was attacked 2 years ago and is in counselling. Can you advise me what to give her. I take Kefir that I process myself and feel such a difference to my health. Absolutely no mention of adverse effects?! SSRI medications have adverse effects, including sexual dysfunction and Aphantasia. SSRIs are believed to increase the extracellular level of the neurotransmitter serotonin. Several molecules with neuroactive functions such as gamma-aminobutyric acid (GABA), serotonin, catecholamines, and acetylcholine can be produced by gut bacteria. What happens if I take Jarro-Dophilus® Mood? Does it cause Aphantasia and sexual dysfunction? L. helveticus R0052, L. rhamnosus R0011, B. longum R0175 and B. longum BB536. Do you recommend specific lab tests to measure current serotonin levels and other neurotransmitter levels? If the levels are OK, there is no need to supplement Mood probiotics? Are there any reviews on “Optimal Biotics”? I’d like to determine if it really works before spending my money. Thank you. My take on probiotic supplements: BIG WASTE OF MONEY. Many studies indicate that most of the probiotics are killed in your stomach acid before reaching your gut because they aren’t ‘shielded’ by any food/fiber source in your stomach. I’ve tried almost all of the top rated brands and with the exception of Dr Ohhira felt nothing. Try on that if you take a supplement and feel and effect that you are yet another piece of evidence for the power of placebo, and that you may be paying $40/month for psychosomatic results. If you really want to experience REAL benefits of probiotics then GET IT IN A FOOD SOURCE. —Kefir, Unpasteurized Sauerkraut or Kimchi. Supplements can’t hold a candle to the power of these food sources and our bodies have evolved over eons to process FOOD, not neatly packaged little cellulose capsules. Adrean – actaully. Lactobacillus can survive the acid/alkaline states if the stomach/duodenum just fine. As far as Pyschobiotics go – Amare Global is pioneering the field – I’ve come off of Seroquel, Ativan, and Ambien by focusing on a holistic functional medicine approach. I thought you might be interested in this article on https://universityhealthnews.com: Psychobiotics: Best Probiotics for Mood?